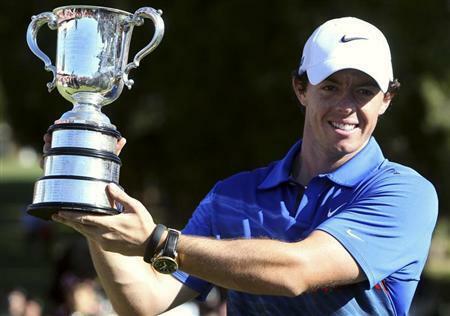 This was not the season that many expected Rory McIlroy to have. Going into 2013, Rory was looking to sign a huge deal with Nike for clubs and clothes and then go on to dominate across major golf tournaments around the world, becoming one of the legends of the game in the process. However, somewhere along the way things changed and McIlroy didn’t have the season he had hoped for. However, on Sunday, the 24-year-old finally ended the drought of this season by winning the Australian Open, denying Adam Scott the chance to claim an Australia golf Triple Crown. McIlroy was behind by four shots when the last round started but made things even after getting an eagle on the seventh hole and a bird on the eighth. Scott then got the lead again after shooting a birdie on the ninth and the two played shot for shot until the end. After shooting over the green and needing an additional two putts to make the shot, Scott got a bogey. 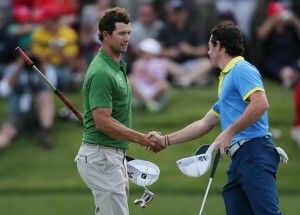 McIlroy sank the putt after hitting the ball just 10 feet from the hole and won the Australian Open by just one shot. In an interview after the tournament was over, McIlroy talked about his win and how much more satisfying it is that he was able to clench the victory away from one of the best players in the word in the final shots of the day. He also mentioned that he feels a bit sorry for denying Scott Adams the chance to win the Triple Crown and become the second player after Robert Allenby eight years ago to win the Australian Open, the Australian PGA and the Australian Masters titles in one season. After winning the PGA and the Masters, Scott came in strong for the Open and set a new record on the course after finishing 10-under 62 on the first round. Being 16 under for the final day gave him a significant advantage over the other players but McIlroy managed to come back from being four shots behind and won the Australian Open in dramatic fashion. When the world No. 2 and last year’s top-ranked player fight for the trophy and it all comes down to one shot, the tournament becomes very exciting, regardless who ends up winning it. At the end of the day, McIlroy finished the 2013 Australian Open with an 18-under 270 and Scott was just one shot behind at 17 under and Australian John Senden finished third at 11 under. Rhein Gibson and Bryden MacPherson are tied at 9 under for fourth place and all of them have now qualified for the British Open next year.